If you suspect there is mold in your home, calling an expert to initiate the mold remediation process is a must. 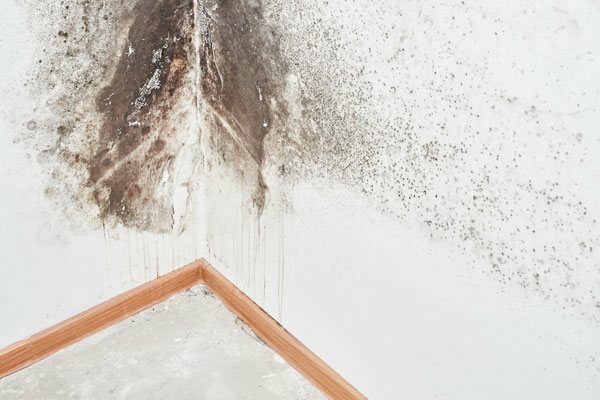 If there is a musty smell, moisture present in an indoor space, or if you have symptoms that may be related to mold, Green Home Solutions can help with our proven mold remediation process. Our innovative mold remediation process directly attacks the source of the problem to eradicate the spores at the molecular level. Our goal is to revitalize your indoor space for a cleaner, fresher living and working environment. Our professional mold remediation process is comprehensive and effective. When you need your mold eradicated fast and affordably, Green Home Solutions gets the job done. We conduct a preliminary assessment of your home or commercial property. We work with you to make sure the source of moisture is discovered and corrected. We perform professional surface/air quality testing if appropriate. We eliminate the source of mold and mildew at the molecular level. We can recommend third-party air quality testing after treatment to confirm eradication. First, we visually inspect for moisture and water intrusion using infrared detection technology. Then, if appropriate, we will take air and/or surface samples to check for mold spores, following the Indoor Environmental Standards Organization mold testing methods and procedures. Remember, you cannot rely on what you see or smell to ascertain the presence of mold! Finally, we submit our samples to an independent microbial laboratory for a comprehensive analysis. The air quality test identifies the mold, the concentration level of mold spores, and the extent of contamination. Based on the results, we will formulate a specific, personalized plan for your home, including a quote for mold remediation if appropriate. We will discuss the situation with you and explain our recommended strategy so that you understand what will be done. Our licensed and/or certified technicians utilize a multifaceted approach to restore a building’s indoor environment to a state of normal fungal ecology. While specific protocols may vary from project to project, the underlying basis follows guidelines from the ANSI/IICRC S520 and EPA. Using our proprietary EPA registered product, we can restore and preserve more building materials than conventional remediators. Our approach is direct, fast-acting and highly effective. Your home or office will be restored to a fresher and more breathable space because we never use harsh chemicals! Our mold remediation process is considered complete once an optional post-treatment test confirms the cleanliness and purity of your air. We are happy to arrange for a third party to collect an air quality sample to give you that additional peace of mind. When you think you have mold in your home or office, call Green Home Solutions, the company you can trust to resolve contamination issues at the source. We’ll help you breathe better, feel better, be better… because we make air better! Call 1-800-SOLUTIONS to reach your local Green Home Solutions provider today to learn more about our mold remediation process.